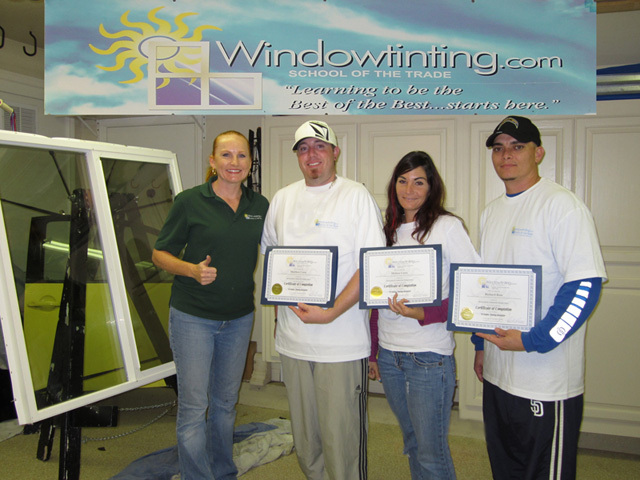 The Flat Glass training was FULL of great and VERY important information. My co-workers and I found it very easy to comprehend and follow what Jaymi was teaching. Now I feel FULLY confident in heading out to do jobs and knowing I will be installing like a trained professional. Great 1-Day class…I really recommend it! Simply AWESOME as well!!! As with the Automotive Tinting course, the material instructions and hands-on demonstrations (along with plenty of time performing the techniques) helped make learning very easy!